Photolemur makes almost any photo look better in a snap without manual editing, but there’s little control over the results. As a parent of two kids, I take a lot of pictures. But it seems more of my time is spent enhancing images shot with my iPhone to make them look their best—a repetitive and tedious task if I don’t process photos as they’re being taken. Photolemur ($49 for a five-Mac license; $20 on the App Store for a single-user license) is a Mac application designed to automatically enhance a batch of images at once with drag-and-drop simplicity. 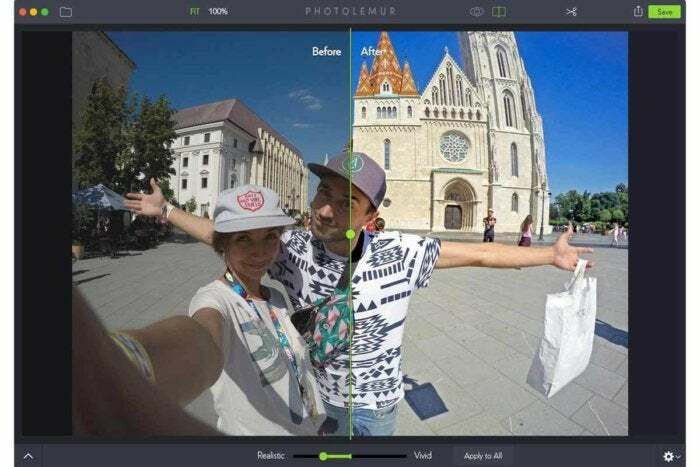 Unlike photo editing software that requires fiddling with multiple settings for best results, Photolemur uses artificial intelligence to determine which parts of an image will benefit from its magic, then applies the necessary changes without interaction from the user. 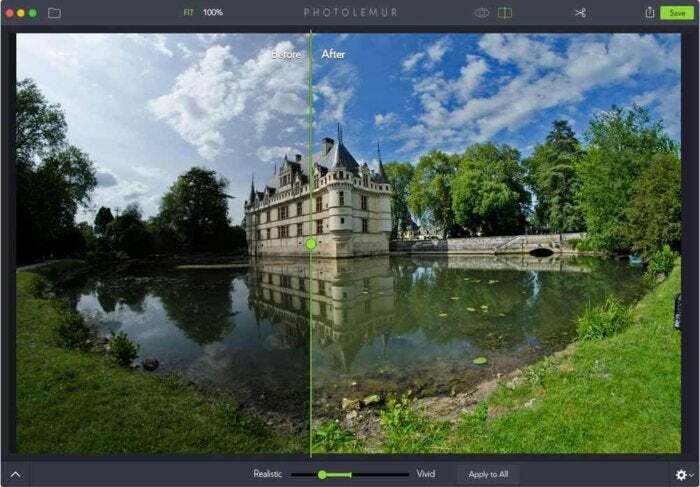 There are numerous automatic enhancements built into Photolemur, ranging from color recovery and exposure compensation to smart dehaze, tint perfection, and noise reduction. Smart algorithms hone in on specific regions such as skin, foliage, and the sky to bring out the best from every photo. Blown-out sky? Photolemur can help restore lost details with minimal effort from the user. It’s important to note Photolemur is not a photo editor in the traditional sense. Once an image has been processed, the only manual control is a slider used to balance between a realistic or more vivid look, as well as a crop tool to remove unwanted portions of the shot. The remainder of Photolemur’s sparse UI consists of view sizing options (Fit or 100 percent) and buttons to toggle between original and processed versions, or an adjustable side-by-side before and after comparison. Up to 40 image files (including JPEG, raw, and TIFF) can be imported in a batch via drag-and-drop, the File menu, or the Load Photo button, with thumbnails for each appearing in a tray across the bottom of the window. Photolemur also works as an extension in Apple Photos, although this method tends to be slower since the software needs to launch every time, nearly doubling the average processing time of 10 seconds per image. The Photos extension also lacks batch editing as well as the host software’s ability to display the name, size, and resolution of the currently loaded image. 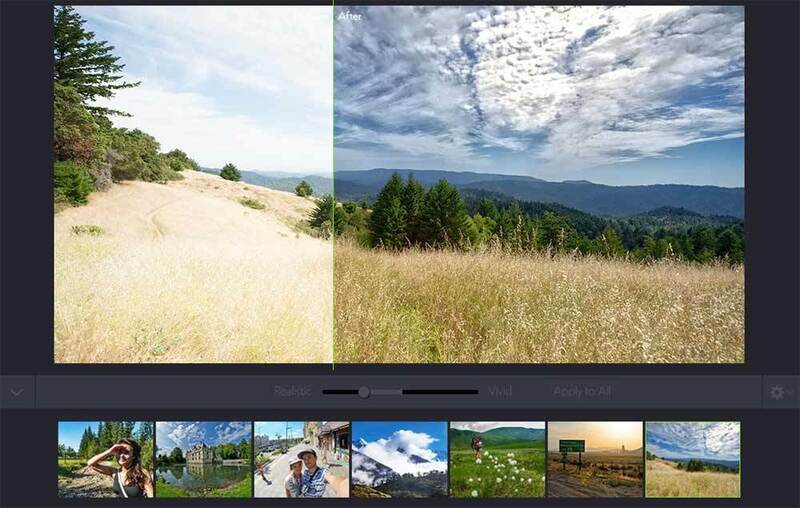 Photolemur includes artificial intelligence enhancements specific to foliage and sky to make outdoor photos pop. The real question is: Does Photolemur work? Based on my tests the answer is yes, but the “all or nothing” approach tends to be more heavy-handed than the one-click Enhance tool built into macOS Photos. I’m also more intrigued by the forthcoming iOS version, since most of my editing now takes place on mobile devices.